What are you going to do this Memorial Day weekend, besides hopefully enjoy a day off on Monday? The obvious answer is to spend the day honoring the fallen members of our nation’s military, as you should. 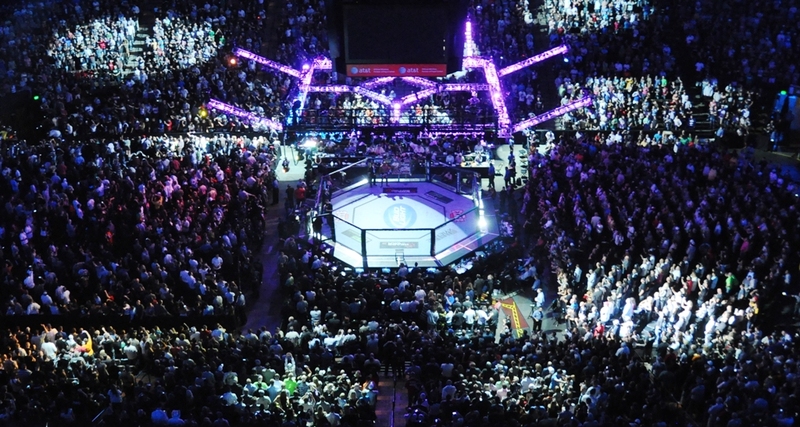 But before that, you can spend your weekend watching yet another UFC Fight Night card. The UFC was merciful to us on the East Coast of the United States and decided to air UFC Fight Night 109 at 1 p.m. ET on Sunday, May 28. Much of this has to do with the card taking place in Stockholm, Sweden, of course. This particular card boasts a main event of Sweden’s favorite son, Alexander Gustafsson, against Brazil’s Glover Teixeira in a pivotal light heavyweight division match-up. Gustafsson is coming off a unanimous decision victory over Jan Błachowicz in September. 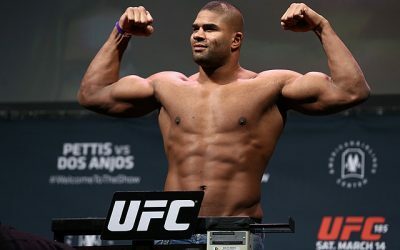 Prior to that outing, he proved to be perhaps the toughest test to the title reign of current light heavyweight champion Daniel Cormier. Though Cormier defeated Gustafsson at UFC 192 in 2015, it was a close split decision. Much like he did against Jon Jones, Gustafsson took Cormier to the limit. It’s likely that a win over Teixeira would immediately put Gustafsson back into the title chase in an extremely shallow 205-pound division. But first, Gustafsson has to get past Teixeira, who has only lost once in his last five fights. The defeat was a devastating 13-second knockout loss to the now-retired Anthony “Rumble” Johnson. A win there likely would have given Teixeira a title shot. 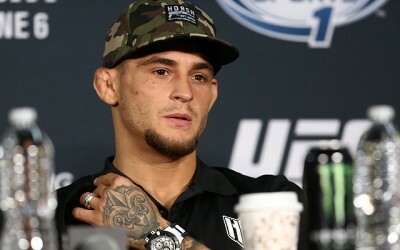 However, the Brazilian rebounded by derailing the up-and-coming Jared Cannonier at UFC 208 earlier this year, and would likely also be in a position to warrant another title shot with a win over Gustafsson. 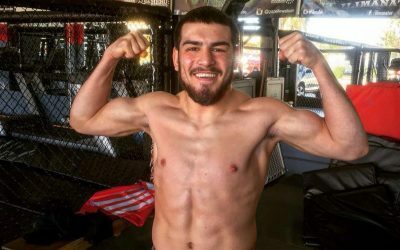 As the UFC’s light heavyweight division continues to scrounge for viable contenders, the co-headliner features a pair of fighters who are looking to become just that. With only three losses between them, Volkan Oezdemir and Misha Cirkunov look to stake their claim as title contenders at 205 pounds. 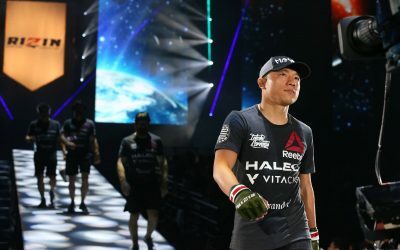 This fight card is rife with fighters who may not be household names, but they are hungry to prove themselves to the UFC audience. The UFC Fight Pass preliminary card begins at 10 a.m. ET, with the Fox Sports 1 prelims starting at 11 a.m. ET and the main card starting at 1 p.m. ET, also on FS1, on Sunday, May 28. Combat Press writers Chris Huntemann and Justyn Likes preview all the action. Somehow, top light heavyweight contenders Alexander Gustafsson and Glover Teixeira have made it this far into their respective UFC careers without ever going head-to-head. This all changes in the main event of UFC Fight Night 109. 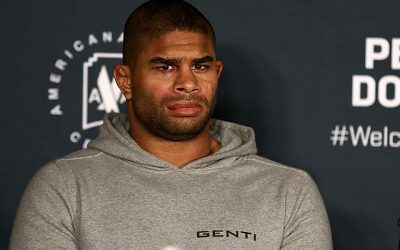 Will Gustafsson prove he’s the best active light heavyweight behind Daniel Cormier and Jon Jones, or can Teixeira finally reinsert his name into the title mix? Likes: It is a bit surprising that Gustafsson and Teixeira are just now meeting up, considering they have been two of the few constant top-10 fighters in a light heavyweight division that has been losing talent the past few years. The two were actually originally scheduled to meet in Berlin in June 2005, but Gustafsson had to pull out due to an injury. This is a must-win for both fighters, but it’s the light heavyweight division and just one injury could provide either of these fighters with a path to a title fight. 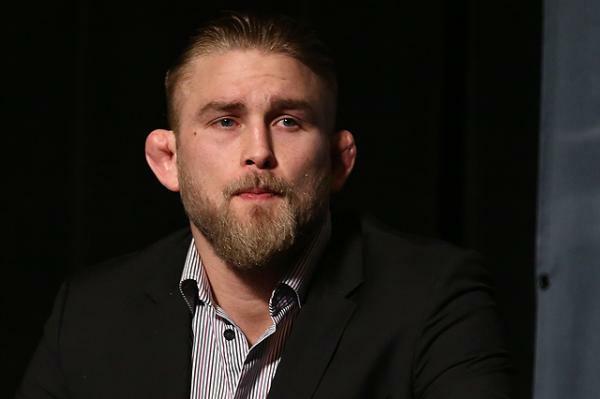 Gustafsson needs the victory more, because his confidence seems shaky. We’re not far removed from him contemplating retirement, and just having that thought creep in his head, even briefly, is worrisome. Gustafsson’s last performance was worrisome, too. He was hit way too many times by Jan Błachowicz and had to go to a decision before earning the victory. If that same version of Gustafsson shows up against Teixeira, then he’s getting face-planted by a fist. Teixeira’s recent performances point to a sharp decline. He handled Jarod Cannonier rather easily, but he still had to go the distance. A win’s a win, but to be taken seriously as a contender, Teixeira, much like Gustafsson, should be finishing fights. An impressive performance by Teixeira will definitely ease any doubts about his decline, though they definitely will raise more about whether Gustafsson still has it. This fight is full of intrigue and may lead us to more questions rather than answers. Huntemann: Gustafsson is a fascinating case study. He’s like the team that has all the talent in the world, but is so inconsistent and tends to play down to its competition. Gustafsson’s two finest performances to date were probably in his losses, ironically enough, to Jones and Cormier. He pushed each guy to their limit, especially Jones. 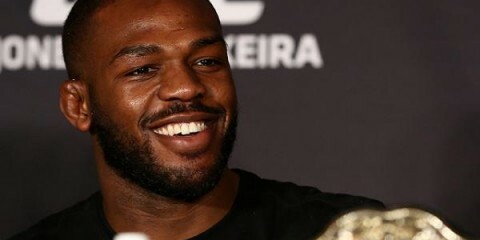 Many people thought Gustafsson actually defeated Jones — personally, I thought Jones eked out a close decision. But besides his fights against Jones and Cormier, Gustafsson has mailed in wholly unmemorable performances, save for his second-round knockout of fellow title contender Jimi Manuwa. Sure, Gustafsson has won a lot in the UFC. But do any of his victories in the last five or six years really stand out? Let’s not put too much stock in Teixeira’s devastating knockout loss to Anthony “Rumble” Johnson. Teixeira just got caught with a punch. It happens to the best of us. It’s to be expected, too, when the punch comes from one of the best strikers in the game. That loss has been Teixeira’s only stumble in nearly the last three years. In that time, he’s knocked out Rashad Evans and Patrick Cummins. Teixeira is still a dangerous dude that both Cormier and Jones need to pay attention to. Gustafsson seems to get up for the big fights. He knows a win here puts him on par with Manuwa in terms of being a title contender. He also thinks he defeated both Cormier and Jones the first time he fought them. Gustafsson is extremely motivated, and he still has a unique skill set and reach that most guys can’t match. Despite Teixeira’s continued relevance in the division, Gustafsson will win here. 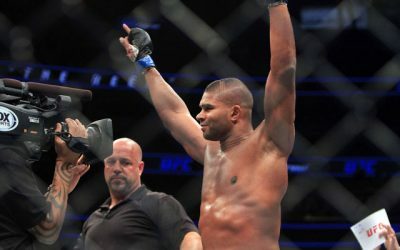 Will the light heavyweight co-headliner between Misha Cirkunov and Volkan Oezdemir finally provide the division with a new top-tier fighter, or have these guys already reached their peak? Huntemann: I’m just going to be completely honest here and say that before I saw the lineup for this fight card, I had absolutely no idea who Cirkunov and Oezdemir were. If this makes me a bad mixed martial arts fan or journalist, then welp, so be it. But I’m willing to wager a respectable amount of money that I’m not alone. This highlights just how low the light heavyweight division is on marquee names. After the first four or five guys (including Jon Jones), there ain’t much, frankly. Sure, there are names most of us recognize, like Corey Anderson, Ovince St. Preux and Ilir Latifi. But they’re not exactly box-office stars, are they? Now, to the question at hand. Cirkunov and Oezdemir only have three losses between them. The two fighters are 30 years of age and 27, respectively, so it’s doubtful that they’ve reached their peaks yet. They also own victories over guys like the aforementioned OSP and Nikita Krylov, so they should be taken seriously. Should the winner of this fight enter the title conversation? It depends on how the fight unfolds. If one guy knocks the other out or submits them within one round, or even two, then sure, put them up there with guys like Jones, Gustafsson and Teixeira. If it’s a slow, plodding, boring decision, then maybe we can pump the brakes a bit. The light heavyweight division has almost no depth, which works in the favor of Cirkunov and Oezdemir. However, they have to turn in a memorable performance to show they deserve to be considered a possible title contender after this fight. Likes: I won’t give my colleague any grief on not knowing who Oedzemir or Cirkunov are, because the UFC hasn’t done a great job of promoting either man, especially Cirkunov (which is asinine). All Cirkunov has done is completely wreck shop since debuting, capping it off with a submission win against Twitter’s favorite Ukrainian, Nikita Krylov. Cirkunov’s striking is good, and his submission and ground game is even better. He’s a black belt in Brazilian Jiu-Jitsu with submission victories littered all over his resume. Somehow, he hasn’t made it onto the UFC’s radar, it seems, despite finishing every opponent. Casual fans probably don’t know who he is. I use my parents as test subjects when I want to know when a fighter is “known.” They’re big UFC fans, and when I asked them who Cirkunov is, they replied, “Miesha Tate?” A few months ago, he wasn’t even expected to be in the UFC after contract talks went sour. To get back to the question, yes, Cirkunov is a top-tier talent and far from reaching his peak. I don’t know what to make of Oezdemir. He was a last-minute replacement to fight St. Preux, and he shocked quite a few people by defeating OSP via decision. Nothing particularly stuck out about him. It wasn’t a fluke win, but OSP is madly inconsistent in his performances. 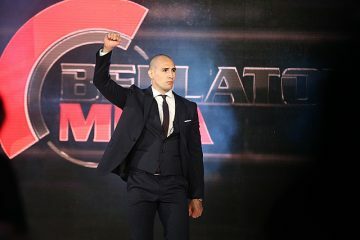 Oezdemir, a Blackzilians fighter, is only 27 and figures to grow as a fighter. Sunday’s performance will tell us how far he has left to go to reach contender status. Oliver Enkamp — do we need to know this name? Likes: Alright, this is my “I have no idea who this guy is” moment. I don’t. I had to look up the name on Sherdog and make sure this wasn’t a practical joke of a question put in here to throw me off. Alas, Enkamp is real and is fighting this weekend against Nordine Taleb, filling in for Emil Meek, who had to withdraw due to injury. I did some digging to learn more about the young Swede. He’s been practicing martial arts since he was five years old. He looks like a giant kid, so he’s the Swedish Sage Northcutt if you want to look at it that way. He also has his own official website and way more Twitter followers than me, but that’s besides the point. In his past fights, he’s shown some potential. He’s undefeated through seven fights and has a solid ground game with a diverse set of submissions. He’s risky going for submissions. It’s worked for him so far on the regional scene, but now he’s in the big-boy league. Enkamp’s karate background means he loves to do spinning stuff — it even says so on his UFC profile — and overall he has a style fans will enjoy. We’ll know more about whether Enkamp is someone to keep an eye on after he fights Taleb. Huntemann: Ha! See? 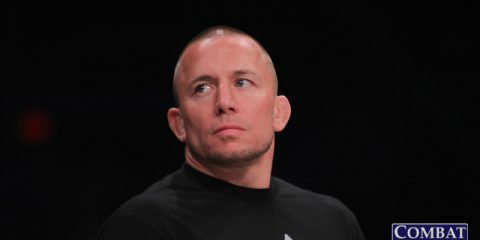 I knew I wasn’t the only one who wasn’t familiar with obscure UFC fighters that most people probably also aren’t familiar with. Anyway, Enkamp is making his UFC debut after competing on the regional circuit. 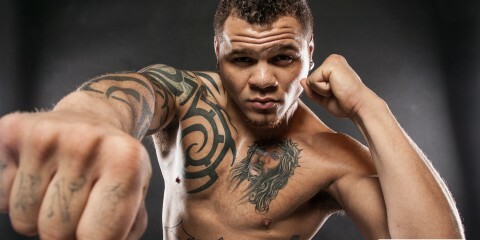 Although he’ll be on the FS1 main card, I suspect his placement has more to do with his heritage than his skill set. I’m sure Enkamp is a nice kid and probably has a future in this sport, but I’m picking him to come up short against Taleb. I reckon Enkamp is a name that we will forget just as soon as we hear it for the first time. So, yeah. That’s it. That’s all I got. Huntemann: The bantamweight bout between Pedro Munhoz and Damian Stasiak. If nothing else, both guys have pretty sweet nicknames — “The Young Punisher” and “Webster,” respectively. Munhoz has won his last two fights via submission. Before those wins, he gave rising bantamweight prospect Jimmie Rivera all he could handle in a close split decision. Stasiak has only lost once since 2013, and six of his last seven wins have come via submission. These guys could put on a mat-based clinic that fans of the ground game might particularly enjoy. Likes: Abdul Razak Alhassan and Omari Akhmedov. Why? Because of Alhassan. I have no idea why he’s not yet a household name, but I honestly think he will become one. Look at his resume. Seven fights. Seven first-round finishes by knockout or technical knockout. Have I sold you on Alhassan yet? How about this? Not one opponent has lasted more than 86 seconds with him. I remember watching him live in Bellator on the prelims for the card featuring L.C. Davis and Joe Warren. There were two fighters on the card that I believed were going to be something special: Alhassan and Darrion Caldwell. Caldwell has turned out fine, and Alhassan will too. He’s an accomplished judo practitioner, but you wouldn’t tell when you watch him. He just goes out and straight-up sleeps his opponents. He continued to impress in his Octagon debut, where he finished Charlie Ward in under a minute. Akhmedov is a perfect dance partner for Alhassan. It’ll mark the eighth finish in Alhassan’s career. I’ll just be looking to see if Akhmedov can last more than 86 seconds. Likes: Whatever you decide to throw on the grill. It’s Memorial Day weekend here in America, and that usually means BBQ gatherings. Hot dog, chicken wing and hamburger lovers, rejoice! If you happen to be reading this outside of the United States, just grab a cold one, sit back and see why I have a man-fighter crush on Abdul Razak Alhassan. Huntemann: A sandwich and some chips, and a cold beverage of your choice. If you’re in the United States, it’s Memorial Day weekend, as my colleague pointed out. There’s a good chance you don’t have to go to work the next day and you may not have much to do on the homefront. So kick back, relax and watch some fights. What else do you have to do?